Goods news for fans of robots and piping hot pizza: Domino’s announced their first successful drone delivery on Wednesday, November 16, ushering in a new era for the global chain. As Quartz reports, the delivery took place in the town of Whangaparaoa in New Zealand, where drone regulations are relaxed compared to those of other countries. The GPS-guided DRU Drone transported the two pizzas—peri-peri chicken and chicken cranberry—inside their regular boxes, which were carried inside a bulkier box affixed to the bottom of the craft. When the drone arrived at its destination, it lowered the box down to the customers via a detachable tow cable (you can watch the scene play out below). 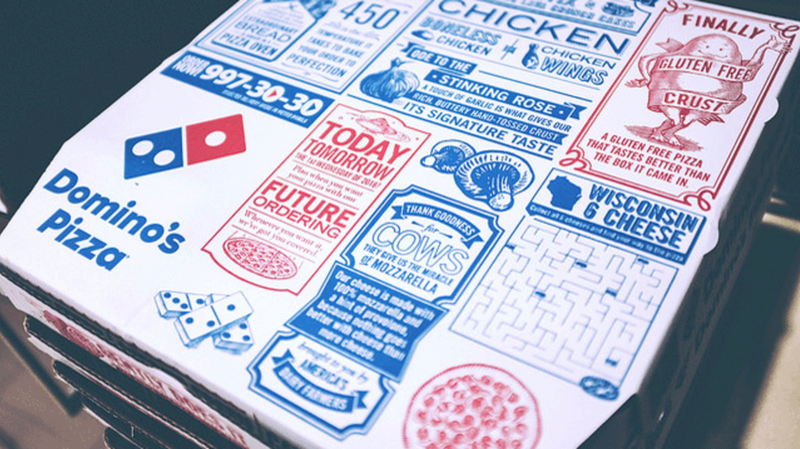 According to Domino’s, the mission marked "the first commercial delivery of food by drone to a customer, anywhere in the world." Three months ago Domino’s partnered with the drone company Flirtey to make their delivery system a reality. For now it’s only available to customers who live within a mile of the Whangaparaoa Domino’s, and who have enough yard space for take off and landing. The company plans to launch the service in more locations across New Zealand down the road, and is currently in touch with various government agencies about expanding worldwide. Unfortunately for U.S. pizza lovers, FAA regulations forbid drones from flying beyond the pilot’s field of vision, so drone deliveries likely won’t be taking off stateside any time soon. In the meantime, American customers can hold out hope for the arrival of Domino’s ground-based delivery droids.